I was challenged yesterday with the idea of drawing a picture as I am reading Scripture to help me dwell on the passage throughout the day and engage God’s Word in a new way. I am definitely not an artist but I decided to give it a try. This morning I read Psalm 62, which was exactly what my heart needed this week. As I sat pondering these words I imagined myself inside of a castle tower, walls thick. 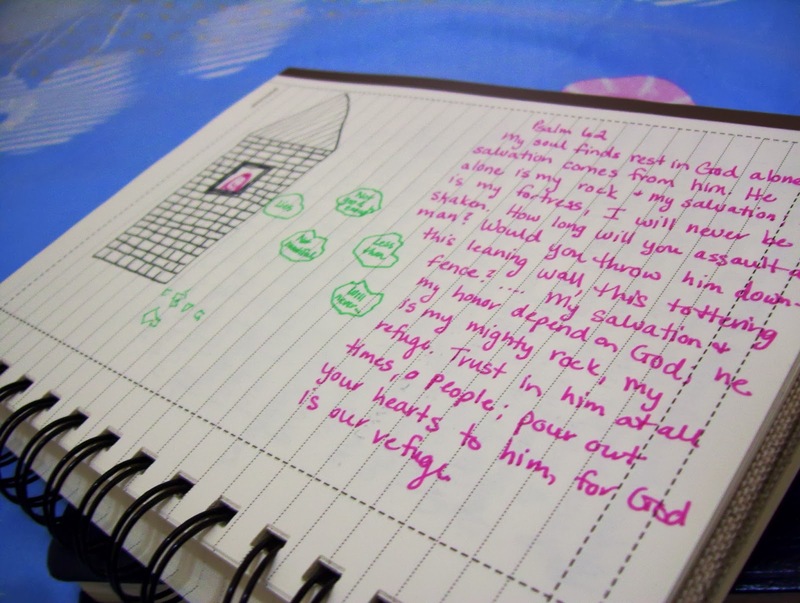 Inside of this tower I was safe, warm, loved, cared for. When the Enemy tried to hurl stones at me, the rocks crumbled and fell to the ground. The rocks this week have come in the way of lies: “You will never learn this language. 85% comprehension/speaking on your assessment isn’t good enough. No one remembers you back home.” I haven’t done a very good job of running to my Strong Tower to keep me safe when the lies come. This is where I need to go, this is where I need to run. I am so thankful for my strong Father who take such sweet care of His children, even when I forget the place in which I need to seek refuge. It is most certainly a lie that everyone here has forgotten about you. You are loved and missed and we pray for you every day.